Owning a home can have many wonderful benefits. To obtain all those benefits, though, it’s important to understand the best way to pay for your home. Too often, families get in a hurry because they’re so excited about the prospect of owning a home. This can lead to oversights and mistakes made during the mortgage process. Here are a few common mistakes that you should be on the lookout for. Owning a brand new home is a great way to ensure you get exactly what you want in a home and prevent some of the costly repairs that can come with an older home. To make wise use of your money, though, it’s important to decide if the expense of a new home is financially responsible. 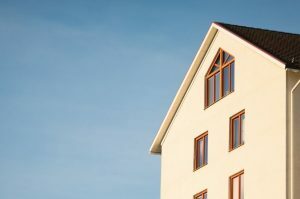 To be sure, new home builders incentivize the purchase of a new home as much as possible to make it a viable option for as many people as possible. At the same time, having everything new and in good condition does come with a cost. Don’t bite off more than you can chew by purchasing a new home before you’re ready. Another common mistake that families make when it comes to mortgages is rushing into a mortgage before they’re on solid financial footing. To be sure, the mortgage vetting process will help you determine if taking on this much debt is right for you. Ultimately, though, you have the clearest picture of your financial situation. Ask yourself if you’re truly able to take on this much long-term debt or if you need to get the rest of your financial house in order before moving into an actual house. For some items that you purchase, the “fear of better options” can simply be a bit of paranoia that slows down the buying process. When it comes to buying a house, however, this is a healthy fear to have, at least to some extent. Since different lenders look at different criteria when making lending decisions, it’s important to shop around your info to see which company can give you the best interest rate. After all, even a small difference can translate into thousands of dollars when you’re talking about the size and length of a mortgage. Another problem that can result from jumping in to a mortgage too quickly is failing to save enough for a decent down payment. To be sure, there are mortgages available with very little or even nothing required for a down payment. In the long run, though, saving up for a large down payment will save you thousands in interest since your monthly payment will be lower and you may even be able to shorten your term. The faster you can make that principal disappear, the sooner you can begin living a life of financial independence. Though buying a new home can feel like a race, it’s important to remember that it’s a marathon, not a sprint. There are many pieces that have to come together in order for you to get the keys to your new home. Taking your time and remaining patient will help you achieve your financial goals when it comes to your mortgage. Plus, it will help you remain less stressed as you seek to finish the home buying race.